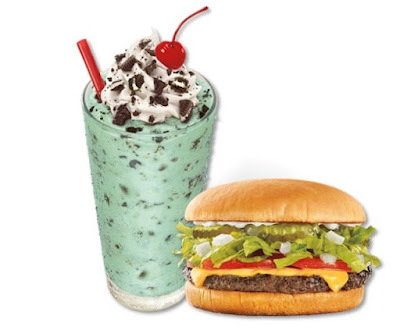 Sonic's latest limited-time deal gets you a burger and a shake for $3.99 at participating locations nationwide. They call it the "Double Feature." For the price, you can get a Sonic Cheeseburger and a small Classic or Master Shake. The Sonic Cheeseburger consists of a beef patty, American cheese, crinkle-cut pickles, chopped onions, shredded lettuce, tomatoes, and a choice of mustard, mayo, and/or ketchup on a toasted bun.